Some people face a very painful problem, such as arthritis. It is a condition where the joints become swollen, hot, and often painful. Most of all, arthritis affects the knee joint, the largest joint in the body. One of the other common forms of arthritis is osteoarthritis. With osteoarthritis, the hard tissue that covers the ends of the bones in a joint begins to break down. According to US statistics, people over 18 years of age are diagnosed with arthritis. Around 49.7 percent of adults aged 65 and older and 30.3 percent of people between 45 and 64 suffer from this condition. Another form of arthritis is rheumatoid arthritis, which affects around 1.5 million Americans. When it is left untreated, rheumatoid arthritis may destroy affected joints over time. The most terrible thing in this painful condition is that even taking medication to relieve pain people can still face problems in everyday life, since the condition does not improve. How can people ease arthritis pain? There is one proven method that can help you cope with this problem – exercise. When practicing some specific exercises on a regular basis, people can reduce knee pain, improve motion, decrease stiffness, and increase flexibility. 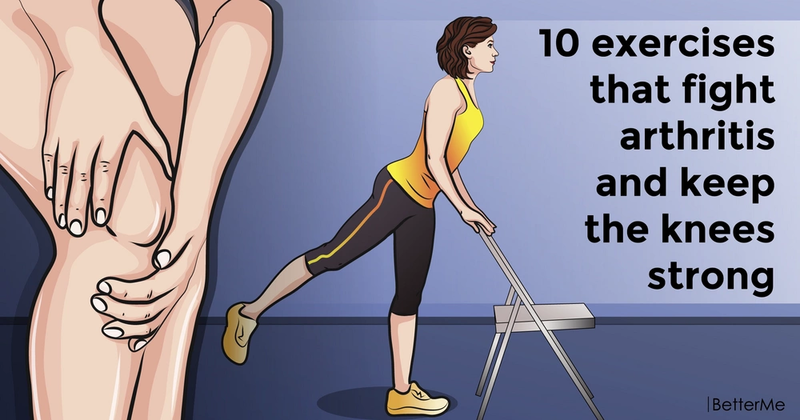 That is why we have prepared a list of 10 effective exercises that will help you fight arthritis and keep your knees strong. 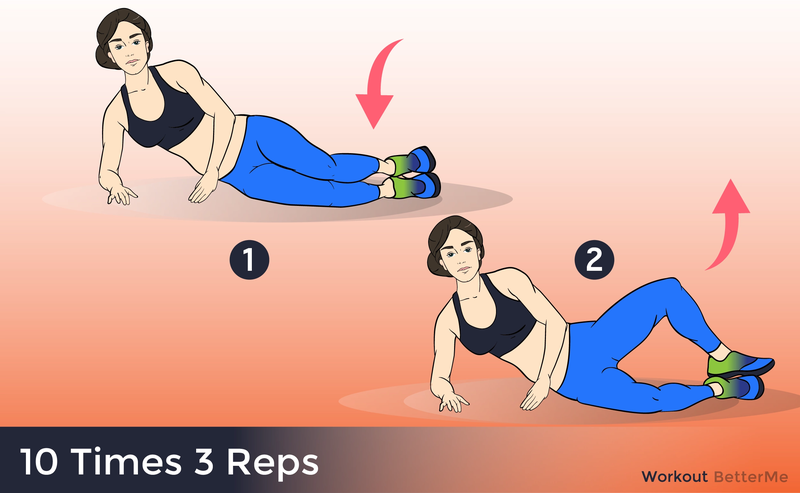 You can perform these movements at home or work, while standing, seated, and even lying down. They are easy to perform and, of course, very effective in the treatment of arthritis. Before beginning this exercise routine, we recommend consulting a physician. Take Care! Elliptical training - targets arms and legs. Recumbent cycling - a low-impact cardiovascular exercise targeting the whole leg. Swimming - a low-impact cardiovascular exercise targeting the whole body.